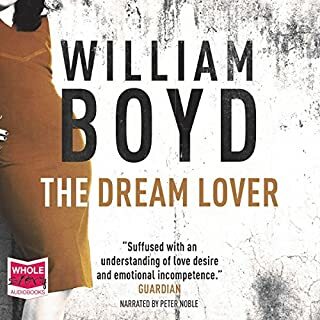 A James Bond novel written by William Boyd. Dominic West is well known for his leading roles in many films, including 28 Days, Mona Lisa Smile, The Forgotten and 300. He played McNulty in HBO’s The Wire, one of the most critically acclaimed television programmes ever made in the U.S. In 2011 he won a TV BAFTA for his role in ITV mini-series Appropriate Adult, and he was also nominated for a Golden Glove for BBC series The Hour. What did you like most about Solo? The writing style. Mr Boyd really captured the essence of the original stories by IF. INFINITELY better than Sebastian Faulks's effort which was poor. The atmosphere and pace of the story. It felt authentic Bond. Which character – as performed by Dominic West – was your favourite? He did them all well. Use Dominic West more often. He is a 1st rate reader! Dominic West's dulcet tones brings Bond back! What made the experience of listening to Solo the most enjoyable? Dominic West delivers a great performance as a sultry and self-assured Bond. 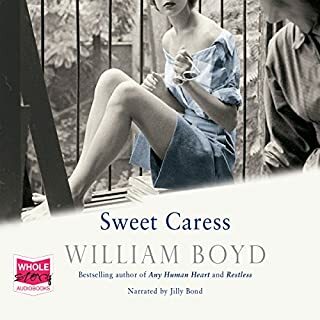 William Boyd's story is hard to follow in some places and typically Bond - there is a touch of sexism there... So Bond is older but the writing is still very much Fleming. I would actually say that I preferred this imagining of Bond to Jeffrey Deaver's in Carte Blanche - perhaps because Boyd has been brave enough to keep Bond more like the original Fleming one i.e. misogynistic and yet enamoured with female beauty and charm...He is the whisky drinking smoking womaniser of old! Definitely Bond himself, followed by the female love interests. A great audiobook : great entertainment. It's easy listening and yet substantial. Would you consider the audio edition of Solo to be better than the print version? 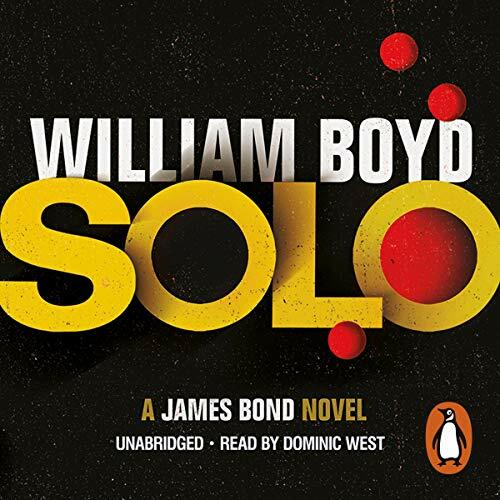 The audio book is is extreamly well read by Dominic West and draws you into the story. one of the better continuation novels. a good eye for local detail in the africa sections and even a Flemming style salad dressing recipe for Bond to enjoy with his steak. Dominic West brings a great tone and quality to his reading which helps to elevate the whole thing. 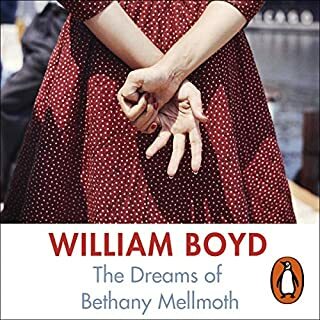 Boyd has written, in my opinion, a novel more elegant & more brutal than much of Fleming's original stories. Bond appears in his historical context suffering post WW2 PTSD. His relationships with women are more complex & filled out. The reader Mr. West is a great actor & you can well imagine him as Bond. As the headline says, I love Bond and have done since I was given my first Bond book to read when I was 12 (I'm 30-something now). I’m not going to go into all the reasons why, but the fact that that Fleming’s books are still so widely read after all this time, is testament to the quality of the characters and the storytelling; both of which are lacking in Solo. I’ve paid close attention to more recent Bond books by Faulks and Deaver, and enjoyed them to some degree – they weren’t on a par with Fleming’s finest, but they were decent stories in their own right. As a result I was looking forward to Solo, expecting more of the same. I was disappointed. 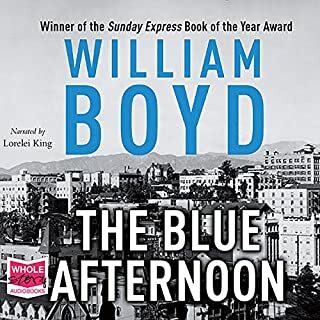 It felt like William Boyd had been given a couple of hours to scribble down a rough plot, been told to watch Timothy Dalton in action for a few hours, ask a few teenage boys what they’d like to see Bond get up to, and then jot it down ready for print. Has Solo put you off other books in this genre? No, not at all. It's possible if you read this book in its own right and forget you've ever heard of Bond, then you may enjoy it. Sadly, as the cover states, it's 'A Jame Bond Novel' so if you enjoy Fleming's Bond, there's a good chance you won't enjoy this. Honestly, I didn't have a favourite. Dominic West's performance was good. Perhaps I am reading too much into it, but I sensed at times that he struggled with his delivery as parts of the dialogue were weak and the story implausible. I've watched The Wire in it's entirety, so I know Dominic West can 'do' American, yet I remain unconvinced by his Mexican accent - it felt like some comic relief from what may have proved a bit of a chore for the actor. Could you see Solo being made into a movie or a TV series? Who would the stars be? I'm sure it will become the basis for a Bond movie at some stage, but I'd imagine it will be a few years down the line with a new actor playing Bond involved. James Bond is 45 in Solo, the same age as Daniel Craig now, so he's likely to be past it by the time this gets to the big screen. I was going to suggest that at 45, Bond won't necessarily carry the same allure as he saunters out of the sea in his tight blue swimming shorts, but I am fully aware there are armies of women who would disagree. - Bond break into a woman's house an rummages through her draw without any good reason. When she returns and starts to undress, he stays to watch. Smooth. For me, this is not something Fleming's character would have done, at least not without good reason. - Bond gets angry at decorators in his flat. 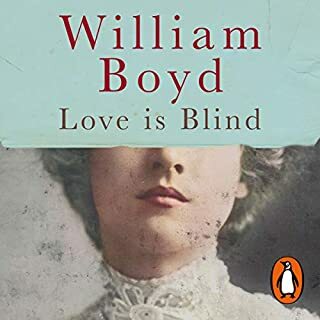 This is an odd one; Boyd doesn't really explain why, but there's a passage where Bond feels the need to 'crack the whip' with the men decorating his flat. I assume it's added to point to the fact that he has to seek some form of enjoyment/power at a time when his life is a little slower than usual, but it doesn't seem to fit. Bond was always short with people, but rarely rude without good reason - this seemed to go against this. - He gets duped easily and frequently. Maybe senility is setting in early, but Bond gets tricked a lot in Solo. I don't want to spoil plot lines, but it's a sad day when a picture of the Queen hanging on the wall is enough to convince Bond that someone is who they say they are. - The baddies are stupid. Yes okay, a lot of the villains in Bond's films are not the sharpest, but when a Journalist masterminds a battle without anyone raising an eyebrow, you've got to ask what's coming next - "Mr Bond, you're great with a gun, are you really just a children's entertainer?" There's more, but this has become a rant. If you could sum up Solo in three words, what would they be? Not a Flemming, though no worse for that. The ending held more surprises than we are used to with the film equivalents - I suspect that is indicative of the films catering for a certain audience and certain necessary formula. This book is skillfully narrated by Dominc West and his clever use of accents completely brings the characters to life. Cleverly he does not attempt to talk like a female for the respective characters and I think the book would be poorer if he had tried. This was my first full length audiobook, and I am totally hooked by the format. I do hope Mr Boyd is inspired to write another Bond epic. One of the great things about the book is the opening in which Bond's age and the timeline of the story are explained and established. This really helps witih the scene setting and anchors the listener in that era. Just didn't feel like a Bond novel. Just didn't haven't the feel and suave of a Bond novel. Some of scenes felt out of the place. The story is somewhat gripping but I didn't actually enjoy ot much. And seriously; it actually contains Bond's own salad dressing recipe!! No! What disappointed you about Solo? What three words best describe Dominic West’s performance? What character would you cut from Solo? A slow start that improves but never quite enough. What did you like best about Solo? What did you like least? The last few chapters though stretching credulity (it is a James Bond novel) are fast paced and interesting. The beginning I found tedious, and though I tried hard to be interested thought the whole Africa plot disappointing. The ending was certainly better than the beginning or the middle for that matter. As a fervent reader of the Ian Fleming books in my early years , I have been deeply disappointed by the various attempts of different writers to re-create James Bond. This time is different. If anything , the best I can say about this book is that , at times, it really sounds like the real thing. 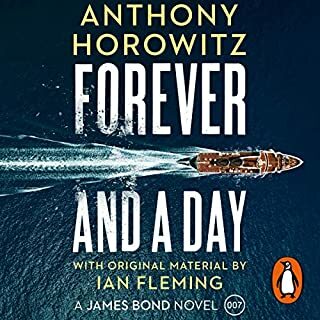 The worse is that James Bond - as a character- comes through as a bit "depassė" with his snobbish and macho attitude and belongs to a world ( Cold War) forever gone...In any case this is good entertainment and I would certainly go for an additional " Bond by Boyd" book..